If you love animals but do not have the space or time to adopt one directly, why not sponsor one of our permanent residents? This involves making a small regular payment to the Black Sheep towards the cost of food, high quality veterinary care, hoof and coat care, housing, play areas etc. Donations start from as little as $5 a week (about the price of a cup of coffee), and can make a very special Christmas or birthday present for someone who cares about animals. All donations are tax-deductible as we are a registered charity. By sponsoring an animal, you enable us to help more animals through the Black Sheep Animal Sanctuary, and ensure that we can provide a high level of care. You will be a lifelong friend to an animal in need! As a token of appreciation of your generosity, everyone who sponsors a specific animal will receive a sponsorship pack. As well as expressing our thanks, this also serves as a reminder of your animal and his or her story, and is an inspiration to others to help all animals in need. 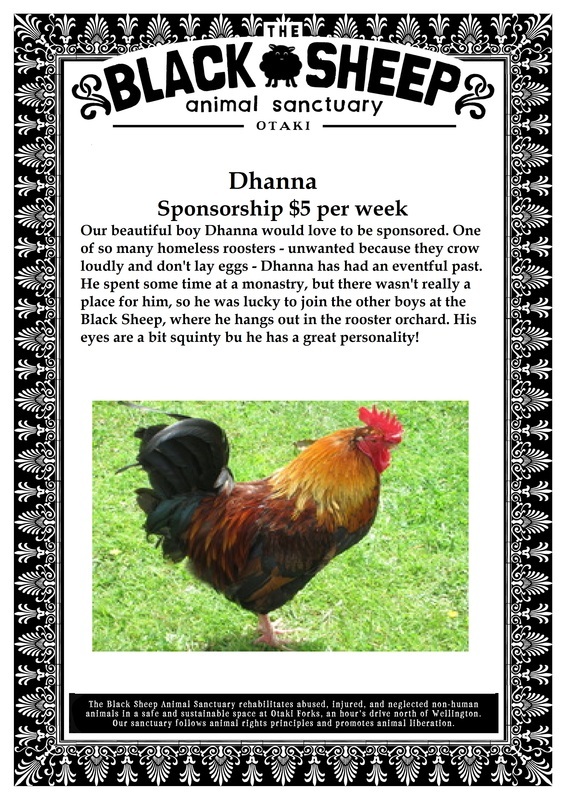 To sponsor one of our lovely animals, click on his or her image! This pack is electronic and will be emailed to you (or your gift recipient) so that you can print off the materials yourself if you desire. This saves us money on printing and postage so that more can be spent on the animals. It is also kinder to the environment. Please note that the 'Animal friend' option is not specific to a particular animal. You will receive a generic rather than a personalised certificate, a copy of our newsletter, and acknowledgement on our website in token of your wonderful support! With our postal option, the sponsorship pack with printed certificates, leaflets, etc., will be posted to you (or the gift recipient that you nominate). Please note that the 'Animal friend' option is not specific to a particular animal. 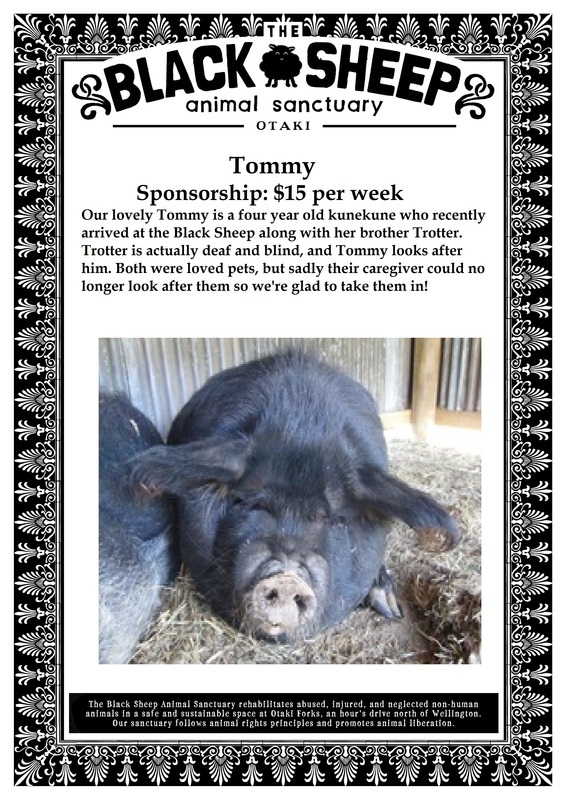 You will receive a generic rather than a personalised certificate, a copy of our newsletter, 5 ‘Opportunity for Animals” small stickers and acknowledgement on our website in token of your wonderful support!